Lavender in Provence is almost as famous as the Eiffel Tower in Paris and many people visit each year hoping to catch a glimpse of the stunning scenes offered when this gorgeous purple plant is in full bloom. What many don’t realise is that you have a short season to see it – June, July and possibly August if the weather has been poor and the harvest is late. Personally, it would have to be June for me and that is simply because I don’t like the crowds that descend in high summer. I like to wander the back roads, enjoying the pleasures that driving in France has to offer rather than fighting with mass tourism in hot car. 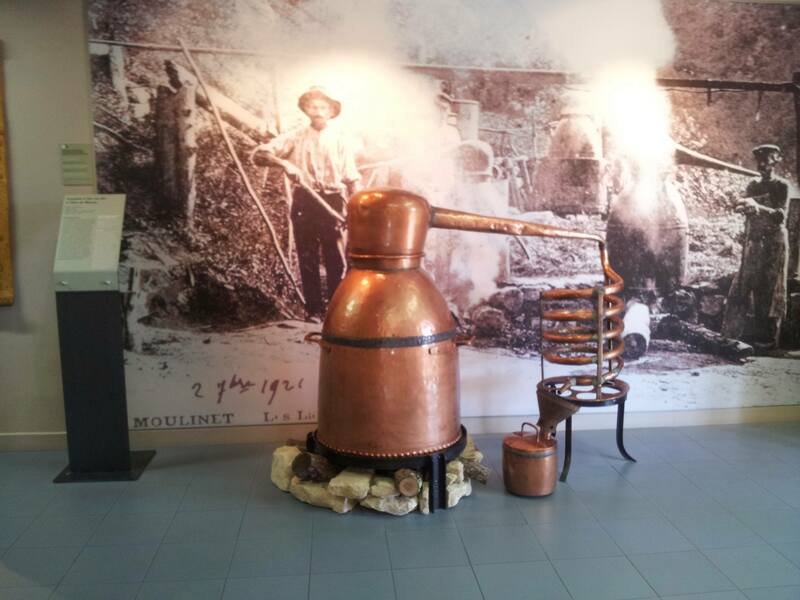 An historic copper lavender distiller in Provence. When we were last in Provence we visited the Musée de la Lavande at Coustellet. 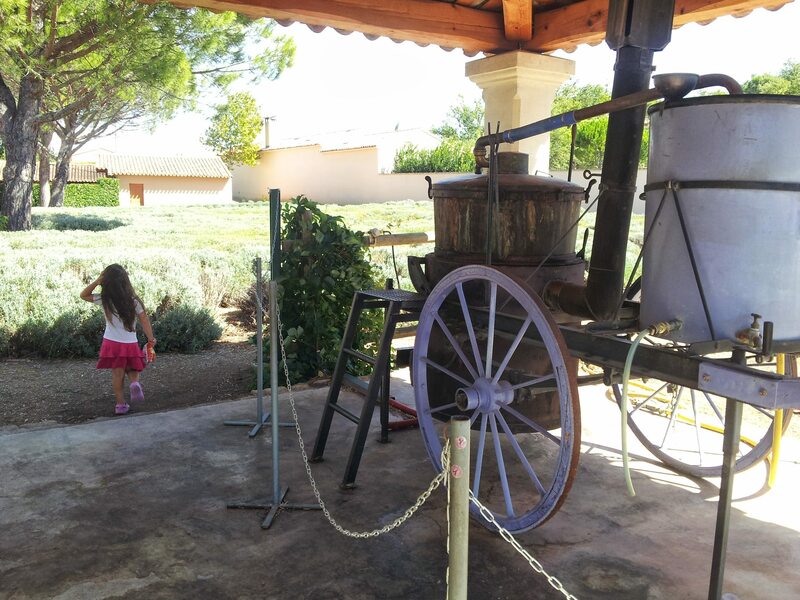 It was September so the harvest was long gone but none the less, we were able to enjoy learning about the history of lavender production in Provence and see the tools and machinery that have been used for many years. You may think that this is not a place for children but Lola was three at the time and she loved it. They have an area specifically for the children and we also received a free jigsaw which she was very pleased with! This museum is sister to the Château de Bois, a family farm set high in the village of Lagarde d’Apt, in Vaucluse dept, a little settlement with a population of perhaps thirty. Their farm can be found high in the Albion highlands at 1,100 metres altitude. It is positioned between the magnificent Luberons and Mont Ventoux, penned the Giant of Provence. We didn’t make it across to that part of Provence at that time but it is certainly on the list to go to next time – after all I have a plan to write a book about searching for Lavender in Provence – it would all be in the name of research! The lavender grown at Château de Bois accounts for 10% of all French production, and I can’t help but think that the clarity of light and clear air in the South of France is a strong contributor to the quality and quantities produced. It seems that this lack of pollution only enhances the ninety hectares of true lavender, or “population lavender” that they grow. Their 300-hectare property is on a huge scale and the fields are rotated every ten years with the plants being burnt off to start afresh in each cycle. I think that if you have the chance, driving high up to the highlands would be well rewarded with breathtaking views. Getting To The Musée de la Lavande (Lavender Museum), Coustellet. Musee de la Lavande, (Lavender museum). Beautiful amongst blue skies and olive trees. As mentioned earlier the museum is in a little village called Coustellet which lies about fifteen minutes north-east of Cavaillon, a large town which lends it name to melons – as an aside, if you are driving in France you will see local growers selling these huge sweet fruits on the roadside throughout Provence along with other delicious produce. Don’t think twice – just stop and buy some! Back to the route, take the D15 then D900 which passes through Coustellet – you may not know when you arrive at your destination as it is little more than a crossroads but there is a sign for the museum on the crossroads where you will turn left. The map is just a hundred metres or so up on the right hand side and has plenty of parking and good facilities. That reminds me, should you wish to use their toilets you will need to get a code – ask at reception! 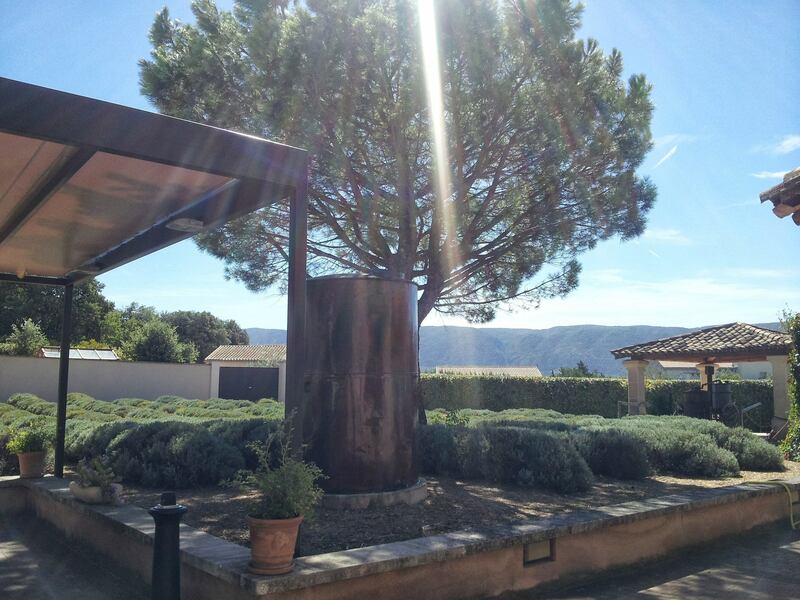 The entire region of Provence is wonderful and as with the rest of France it is broken down further into departments – the museum is in the Bouches-du-Rhone dept and the farm over at Lagarde d’Apt, however, is in the Alpes-de-Haute-Provence county. 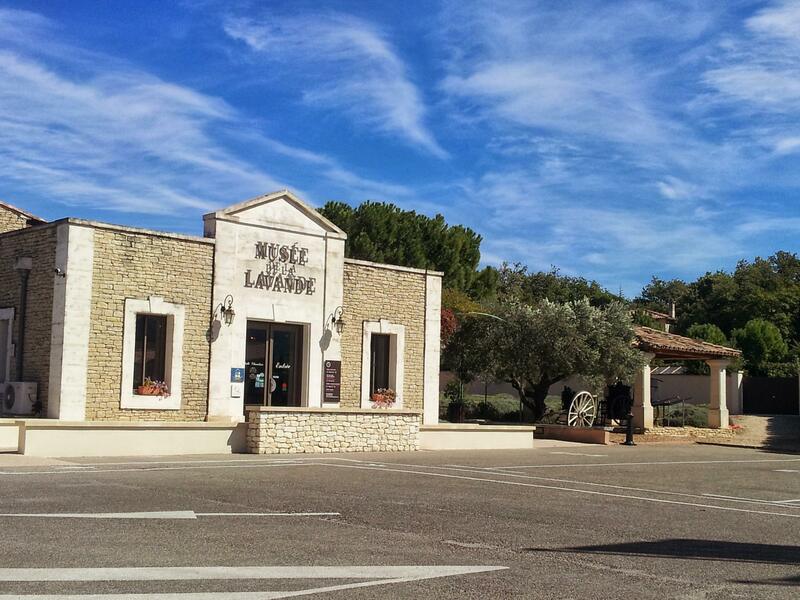 As with the rest of the Provence and in fact France, the scenery rolls ahead as you drive and frequently you come across little towns which make you want to return again and again. In fact, as I write I have a little smile creeping across my face as I remember the empty open roads and the smiling locals taking life a moment at a time – just enjoying being alive! The reason I was heading east from our base at Fontvieille towards Cavaillon was because I had researched the Plateau de Valensole and was taking a punt on there being some lavender remaining unharvested. I would suggest that you simply drive to that region at the right time of year and you will get what you are looking for. Personally, I was on a mission to find lavender for my father as he has never seen the iconic scenes in all his trips to France over the years. I write more about this in my book Clancy Goes To France if you’re interested but if not, I do hope this article has provided you with a little inspiration and guidance in your own quest to find Lavender in Provence. Imagine seeing this out in the lavender fields in France!